Everything you need to know before going to study in UK – education system, visa requirement and process, Indians living in UK, post-study options and more. 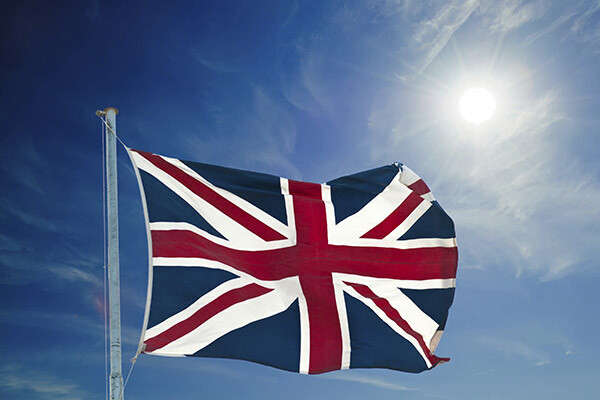 The United Kingdom consists of four countries, united under one government. The countries are England, Scotland, Wales and Northern Ireland. Each has a distinct culture and feel of its own. UK contains over 80 per cent of the total population. College Fit: At the higher education level, students have a wide range of options when they choose a college or university. Although there are agencies that attempt to rank colleges and universities, the concept of “fit” is also important. The GPA* of admitted students are important, but majors offered, location, number of students enrolled, and campus culture are all factors influecing a prospective student’s decision. Some colleges and universities are publicly funded, while others are privately supported. Popular student destinations: The top universities in UK are University of Cambridge, University of Oxford, London School of Economics, Imperial College London, University of Durham etc. (in no particular order). Most of the best colleges in the country are situated in London, followed by Cambridge, Oxford and Manchester. Popular courses: Sociology and Social Studies, Law, Business Management, Computer Science, Communications/Media are the popular courses Indian students pursue in UK. Safety in UK: As a student, you will be as safe in the UK as you are at home. When you get to your college there will be loads of other students who will give you all the information you need about the place. You will find that the country is multicultural and you will soon have friends from all over the world. UK has a variable climate changing from day to day. It is difficult to predict the weather. In general, the summers are warm and winters see snowfall. Summers are cooler than those of India. England – Compared to other places in UK, England is sunnier throughout the year. On some occasions there can be strong winds. Also the rains are unpredictable and it could rain at any time during the year. 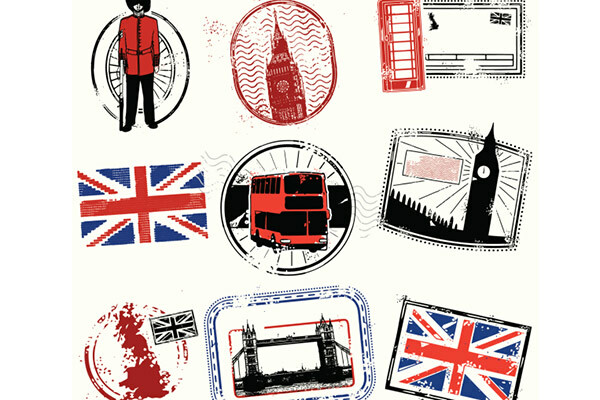 London, Manchester, Birmingham are some of the popular cities. The average temperature in summers is around 25°C to 15°C; in winters it is around 7°C to 0°C. Scotland – The climate of Scotland is temperate and can be very unpredictable. Rainfall is not uniform across Scotland, with the western parts getting a lot more rains than the eastern parts. Edinburgh, Glasgow and Aberdeen are the major cities. The average temperature in summers is around 19°C to 10°C; in winters it is around 6°C to -1°C. Wales – In Wales, most of the rain tends to fall between October and January. Days in winters are shorter and the region experiences snow. Summers are warmer than other parts of UK. Cardiff, Newport, Swansea are some of the popular cities here. The average temperature in summers is around 23°C to 12°C; in winters it is around 8°C to 1°C. Northern Ireland – This region has relatively mild winters and cool summers. Northern Ireland is cloudier than England and gets less sunshine comparatively. Belfast, Lisburn, Newry are some of the popular cities here. The average temperature in summers is around 19°C to 10°C; in winters it is around 8°C to 0°C. All international students to UK will need a letter from the college in order to open a bank account. The college will give you this letter during the induction and registration events. It is essential that all UK international students register with a local doctor. Again, the college will help you arrange this during the induction and registration events. You will have full access to a wide range of clubs and societies at the university. The college also arranges social events throughout your study period. Typically, this would include city tours, ice-skating, ten-pin bowling and visits to other cities in the UK. Indians are UK’s largest ethnic minority group. There were nearly 1.6 million Indian immigrants living in United Kingdom in 2008. The majority of all Indian immigrants resided in three cities: London, Manchester, and Birmingham. The rest of the Indian immigrants live in major metropolitan areas like Cardiff, Glasgow, Edinburgh, and Belfast. Short-term accommodation – Hostels and hotels. Temporary housing which may be offered through your institution while you get settled. Talk to your institution’s international support staff or check their website for details. Rental – You can rent or ‘lease’ a property by yourself or with friends. This can be done through a real estate agent or privately. On Campus – Living can be a great option to minimize travel. Most universities have comfortable and furnished apartment-style living on campus or close by. Homestay – This option allows you to live with a family in their home. Orientation week is mandatory for international students, so ensure that you arrive before it starts. This is the time where you will be introduced to the university and its services, as well as enroll in your classes. It is essential that you read your guidebook, which is provided by the college. The guide explains each part of the admission process. What next after applying to UK universities? • Start researching and select 8-12 universities that you will apply to. Visit university websites and note application requirements, deadlines etc. • Learn about options to fund your studies. • Make custom application strategies for different universities. • This is the time when you shift from the preparation mode to creating the application. Think hard about what makes you unique as an applicant and sketch out your strengths and self-assessment. • Register yourself and start preparing for required standardized tests like GMAT, GRE, UKCAT, TOEFL or IELTS – depending on the course and university. • Begin by downloading admissions brochures from the university websites. • Start working on the UCAS admission form and application. • Search for and begin applying for external scholarships (if applicable). • Take standardized tests like GMAT and TOEFL. • Contact your professors and direct managers for at least two reference letters. • Begin drafting your SOP and essays. • Alongside your admission applications, plan for your expenses like applying for an education loan. • Apply before the deadline! • You may have to appear for a video interview in front of the admissions committee. • You will get your rejection letter via e-mail by April-June (the months may vary). The acceptance letter helps you attain student visa. 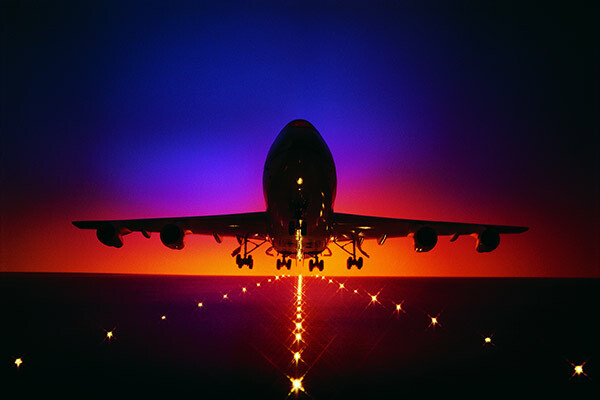 • Gather paperwork for your student visa. • Depending on the deadline, you will need to notify the universities of your decision, pay a non-refundable deposit, and apply for your student visa. Applications to all undergraduate courses are filled through Universities and Colleges Admission System or UCAS – a central organization in the UK that is responsible for receiving undergraduate applications and forwarding them to the respective institutions. UCAS allows you to apply to five Universities through a common form. £13 is the fees for one course or £23 for multiple courses and applications. The services offered by UCAS are designed for the admission to the September/October intake in the UK and you normally apply directly to a university for courses starting in January or February. Note – Students seeking admission to a postgraduate taught program will have to apply to individual universities using the application form of that particular university. Most universities offer the facility to apply online for a nominal fee. Once the application form is filled appropriate supporting documents would have to be sent to the university. Although universities do not have a deadline it is recommended that you apply early to enhance your chances of being made an offer. The main intake seasons are September/October and January/February in the UK. The services offered by UCAS are designed for the admission to the September or October intake in the UK. You have to apply directly to a university for courses starting in January or February. International English Language Testing System (IELTS), Test Of English as a Foreign Language (TOEFL) and Pearson Test of English (PTE) are all standardized language tests, which are required to be taken for the purpose of getting admission into colleges. These follow different formats, structure and result bands. These tests are different in various ways but many colleges ask for any one of the results. So it’s up to the student to decide which exam to appear for. 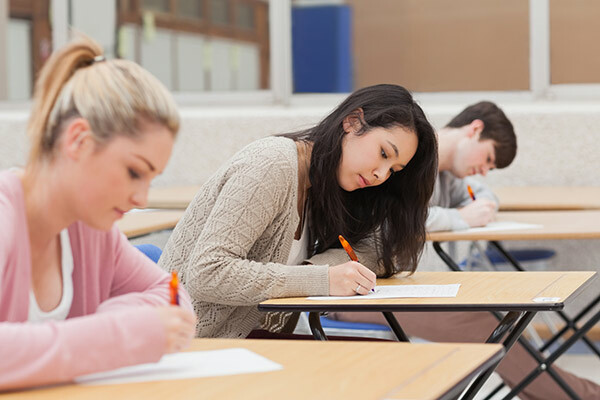 Repetition of exams: IELTS can be taken an unlimited number of times. TOEFL can be retaken as many times as one wishes to, but cannot be taken more than once in a 12-day period. Same with PTE, it can be taken as many times as desired. You must wait to receive your scores before you can book your next test. Time to apply: Ideally, if you are aiming at the September intake, you should appear for these exams by November, so that you can apply before the first deadline. The universities you will be applying to will mention which exam results they will accept. But if they give a choice to go for either of these, then the choice depends on you. The time required to prepare for IELTS/TOEFL/PTE would depend on the existing English language proficiency. You may require 2 to 4 months of preparation before the exam date. GMAT – The Graduate Management Aptitude Test is used to measure the abilities of the potential MBA aspirant to undertake higher education in the field of business or management. It measures mathematical, English, and reasoning skills of the student. GRE – The Graduate Record Examination is another test required to be taken by students applying to graduate schools to pursue MA or MS. Increasingly many business schools are also accepting GRE scores for the purpose to granting admission for MBA. Repetition and Fee: You can give GMAT unlimited number of times, subject to five times a year and a gap of 30 days between two tests. You can take these tests with a gap of 30 days from the first time. The cost of GMAT is Rs 16,000, and GRE is Rs 12,000. Average Scores: The average GMAT accepted score across universities is 540. Average GRE score is 155 for Verbal, 167 for Quantitative and 5.0 for Writing. The tuition fee varies according to different universities, courses, and the city. For international students, undergraduate fees would start with £7,450 for lecture-based courses and can go up to £36,600 for an undergraduate medical degree. But the fee for a lot of international undergraduate programs is around £10,000 on an average. And if you are thinking of applying to a post-graduate course, the majority of international fees for 2013-14 are between £10,000 and £12,000. 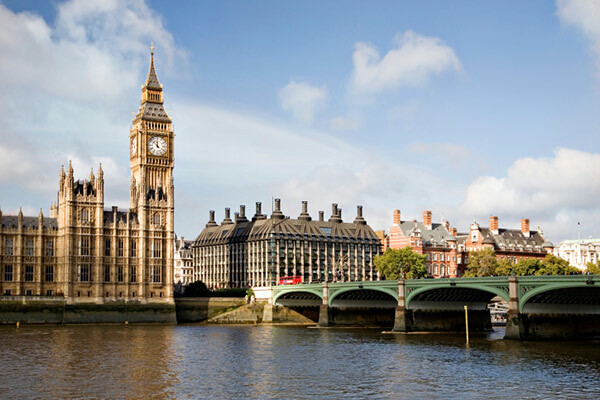 As part of the new visa requirements, if you are an international student, the UK Border Agency (UKBA) requires you to have a budget of at least £1,265 per month to study in London, in addition to the tuition fees. If the campus is outside of London, you will require a minimum budget of £1,015 per month as requested by the UKBA. On an average, you may need around £200 to £300 per week to live in or around London. It is just an estimate, and the final costs will vary depending on your lifestyle, place of residence and how much you socialize. Here is a table that will help you understand the costs in local currency. Keep in mind, the amounts below have been converted from the current Pound to Rupee rate of £ 1=Rs 102. This amount is subject to change. Insurance Policy is mandatory for international students, as students have to stay abroad for a long period of time. Before getting an insurance make sure that it covers medical expenses, personal accident, dental treatment, study interruption, passport loss etc. Insurance is basically cashless so a student does not need to pay money at the time of hospitalization. Merit and need-based fee waivers are awarded to international students. Candidate with strong academics, good performance in standardized exams and extracurricular achievements would be eligible for scholarship awards and financial assistance. To benefit from these opportunities, one has to make sure to send all the required documents by particular deadlines. In addition to this, the presentation of the application is also important because one is judged by the image one projects. Most banks maintain that the selected course should be job oriented. Loan amount: If your total fee is Rs 10 lakh, the bank may offer to give a loan of 80% of the amount and you will have to put in the balance 20%. This is called the margin amount. The maximum loan amount offered by banks for studies abroad is generally around Rs 20. If your tuition fees amount is Rs 30 lakh, you’ll have to manage the rest of the funds by yourself. Some banks charge a processing fee, while others don’t. it may be a fixed amount or a percentage of the total loan amount. So if the bank charges you 1% as processing fee, that will be an additional cost you’ll have to cover. If you do not secure a job within a year of completing the course, then repayment starts irrespective of whether or not you are employed. The loan is generally to be repaid in 5-7 years after commencement of repayment. If the student is not able to complete the course within the scheduled time, an extension of time for completion, of course, may be permitted for a maximum period of two years. Generally, you will get up to a maximum number of 10 years to repay the loan. A letter of acceptance on the course – Your approved education provider will give you an acceptance letter and a visa letter which are official and unconditional offers of a place on a course of study. The visa letter must be issued no more than six months before you apply. The applications where the visa letters are older than six months will be refused. Having a visa letter does not guarantee the application will be successful. The applicant must meet all the requirements of the category and any other requirements of the immigration rules. Proof of funds – The money you need to show covers your course fees for your first year of study and living costs for up to a maximum of nine months. The amount you will need depends on whether you are applying as a child or adult and also whether you will be studying in or out of London. You must show that you have held the money for at least 28 days. The end of that 28 day period must not be more than one month before the date of your application. 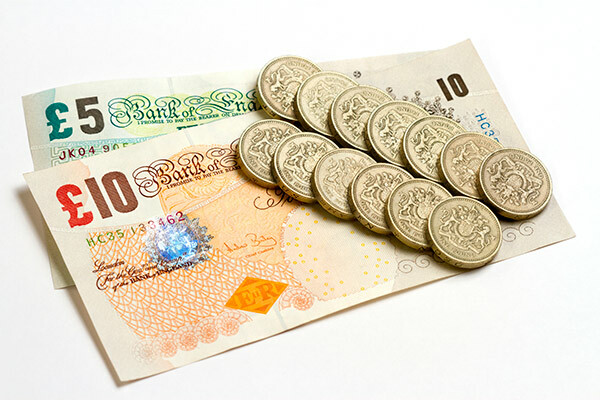 You must show the following amount of money to meet basic living costs (not including fees) for a period of up to nine months: £800 per month if you are living in London; £600 per month if you are living outside London. There are several steps to apply for a visa. UK student visa applications are processed within three weeks of the completed application being lodged. A confirmed place at the school, university or college where you intend to study. It is called a ‘confirmation of acceptance for studies’ (COE). Enough money (also known as ‘maintenance or funds’) to cover your course fees and living costs in the UK. For every document you provide, you must include the original document and a photocopy. You will need to register and create an account on the official UK Visa website. When you have completed your online application form, you will need to print and sign your completed form. You must use the online appointment calendar to book an appointment at the visa application center. When you have completed your online application, you will receive an email message containing your application number. There are 4 ways to pay your visa application fee. Payment at Standard Chartered Bank – You can pay your fee at some branches of the Standard Chartered Bank. The bank will issue a demand draft in favor of the ‘The British High Commission’. Demand draft from a nationalized or foreign bank – You can pay your fee by getting a demand draft issued by a nationalized or a foreign bank. Bank charges for this service will vary. The demand draft must be in favor of the ‘The British High Commission’. Payment at the visa application center – You can pay the visa application fee at the visa application center when you submit your visa application. Pay online – You can pay your visa application fee online using a Visa or MasterCard credit or debit card. You must book and attend an appointment at our visa application center to submit your application and facial photograph and fingerprints. From April 6, 2012, Tier 1 (Post-study work) was closed to new applicants. So technically you don’t get Post Work Visa with Student Visa. But if you want to work there after your studies, then you need to apply for Tier 2 visa which is meant for Highly Skilled Workers. So along with your student visa, you don’t get a work permit. You need to apply for a work visa separately. Your spouse may work in the UK if the grant of leave is for more than 12 months. If your visa was granted for a period of fewer than 12 months or you are participating in a course of study below degree level, your spouse will not be allowed to work in the UK. 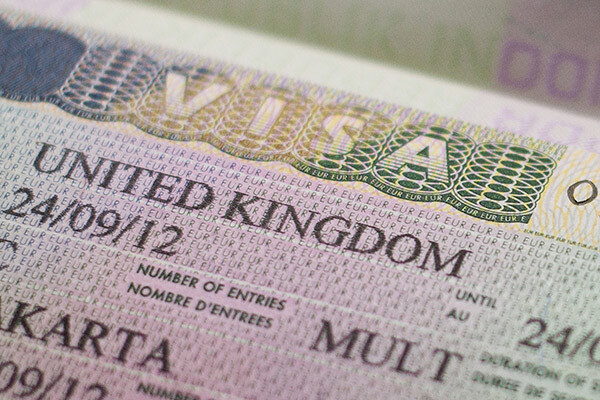 Visa holder in the UK gets a Dependent Visa for the same duration as the primary applicant. This is applicable for Master’s degree application only. Undergraduates cannot take dependants with them to the UK. If you have a Student visa, your dependants apply as ‘dependant of a Points Based System migrant’. Each dependant completes a separate application form and pays a separate fee. Along with your own maintenance funds, you need to show an additional £600 for each dependant for each month that you are applying for up to a maximum 9 months’ maintenance funds. You can use a scholarship to cover the maintenance funds for your dependants if you already have got a scholarship. The scholarship letter must state that funds are also intended for your dependants. You need to have some understanding of the British culture before moving there. Here are a few pointers which will help make your stay comfortable. Punctuality: British are usually sticklers for punctuality, and it will be considered improper if you are late for an appointment, a tutorial or a social gathering. If you are going to be late it is advisable to let the person know beforehand and explain the situation. Queues: Queuing is important in the UK, you will have to queue at shops, supermarkets, banks and government offices. Jumping a queue is considered ill-mannered and can annoy those already standing in a queue. Personal space: The space you leave between you and a person you are speaking to is very culture specific. In Britain, it is usual to leave one arm’s length between you and the person you are speaking to, as crossing that invisible boundary will be seen as an infringement of privacy. Social Niceties: As an international student, you will be perplexed by the number of times the British say please, thank you and sorry. Taking that as a cue, you should add ‘please’ at the end of every request, ‘thank you’ each time someone does something for you. Driving in the UK: Driving in the UK is on the left side of the road. It is necessary to obtain a UK license by arranging to take a driving test. If this is not done, you run the risk of being prosecuted for driving without a valid license. You must be insured before you can drive a car in the UK. To hire a car in the UK you must hold a full Driver’s Licence or an International Driving Licence and have been driving for twelve months or more. Bank accounts: Having a UK bank account is important for international students. It can take up to 2 weeks to open a bank account. You can open a bank account only after you are in the UK and have registered on a full-time study. UK law requires banks to make detailed checks on customers to establish proof of identity, proof of address in the home country and proof of new address in the UK. Buses – Most routes in Central London require that you buy tickets before you board. Ticket machines selling single fares and daily bus passes are located next to the main bus stops on these routes.